The Lane Bryant credit card is what is known as a store card, which means that the card is specifically for that brand and can normally only be used in that store and sometimes, its affiliates. In the case of Lane Bryant, the card can be used at Fashion Bug and Catherine’s, its two sister stores. For those that shop at Lane Bryant often, the card itself offers the convenience of buying on credit as well as consumer perks to encourage the use of plastic versus cash or other payment methods. As with any store card, the value is in the utility. If you shop at the store and can pay off the balance monthly, there are enough perks to consider adding this card to your wallet. 1. Convenience. This is certainly the top reason any regular customer of the store should consider this card. It is very easy to apply for and can substitute cash for those times that you are just a bit short and want to make a purchase. 2. Reward Perks. The reward program that goes with the card has enough benefit to consider as well. There are many different rewards that are offered such as points for purchases which are redeemable, special promos with a certain % off if you shop with your card, birthday coupons, and special occasions when you can earn double points back. Like most reward programs, the more you spend the more you receive. In fact, there are reward tiers with greater and greater benefits the higher you spend. Additionally, if you order online, you can have your items shipped for free. 3. On line access. The Lane Bryant card, in partnership with Comenity Bank has an on line portal for you to maintain all of your charge card details. It has all the basics including statement access, balance information, the ability to self service (report a card lost, ask for a replacement, change your address and phone number), as well as the ability to make a payment. And if the online access is not enough, they of course have a contact center where you can call to make inquiries about your card. 4. Credit Line. 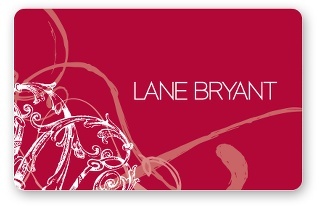 For a store card, the Lane Bryant card offers average credit lines. The majority of its cardholders (about 75%) have credit lines of $1000 or less. The positive side to this though is that obtaining credit is a bit easier since the scoring for eligibility of the card is not as robust as it might be for a major card like a regular MasterCard or Visa. 1. Interest Rate. Not surprisingly, the interest rate for this card is very high. This is not unusual for a store card but something to keep in mind. The card should be obtained if you have the ability to pay it off each month. If you revolve your balance you will find yourself paying interest rates in the 20% or higher range. This interest rate eliminates any value you might receive from the reward program if you revolve month to month. 2. Utility. The Lane Bryant card can only be used at that store brand and its affiliates. If you need a card that can be used at multiple stores or merchants, you will not be able to use this card for that purpose. It is very singular in purpose which is both a pro and a con of the card. The Lane Bryant Credit Card is a typical store branded card. The rewards program is a bit better than some, the online access is modern and the credit limits and interest rates fall in line with most store cards. Those that shop in the store can find value in what it has to offer.